If you have children, you probably have heard of LeapFrog. My children and grandchild are big fans of LeapFrog's array of educational products and from the LeapFrog family including the LeapPad, LeapReader Interactive Map, Letter Factory DVDs, LeapReader Book Sets, Touch Magic Learning Bus and Leapsters that we own and now we can't be more excited to learn about the latest LeapFrog product is now available! This is sure to be a huge hit with kids given that it's made for kids and provides education and action. 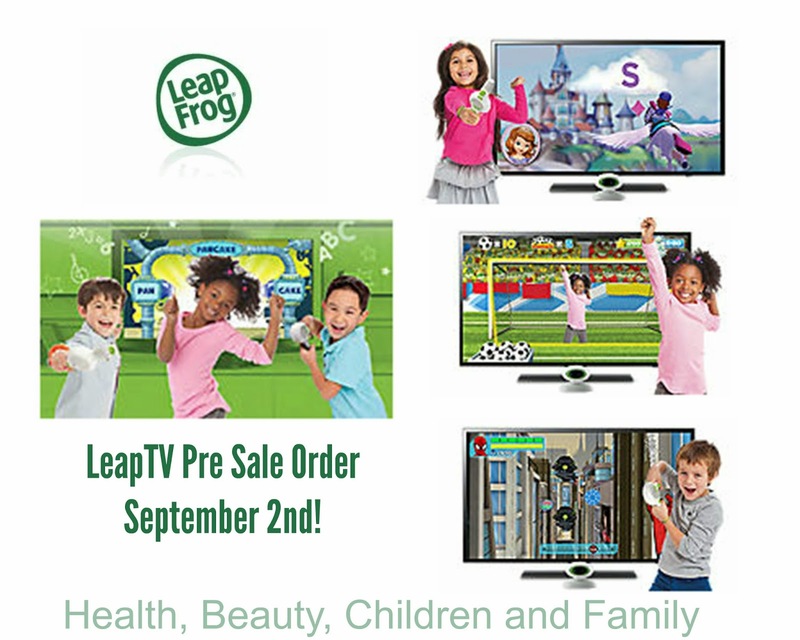 LeapTV provides three opportunities to play from body motion, pointer play and classic controls. Just swivel one end of the controller out with a simple click to play in pointer play mode. For body motion, no controller is needed and your child will be able to use the camera mode for playing fun games like Sofia the First. Classic controls might be a favorite to the little video game avid who's used to pressing A and B buttons for fast paced gaming. The three modes of play will surely be a hit among the little ones and why not offer up educational value while they play? I know my kids love playing games and I gravitate towards the ones that will teach while engaging their attention in fun play. Check it out the LeapTV behind the scenes video here and don't forget, you can now purchase the new LeapTV during the special pre sale!